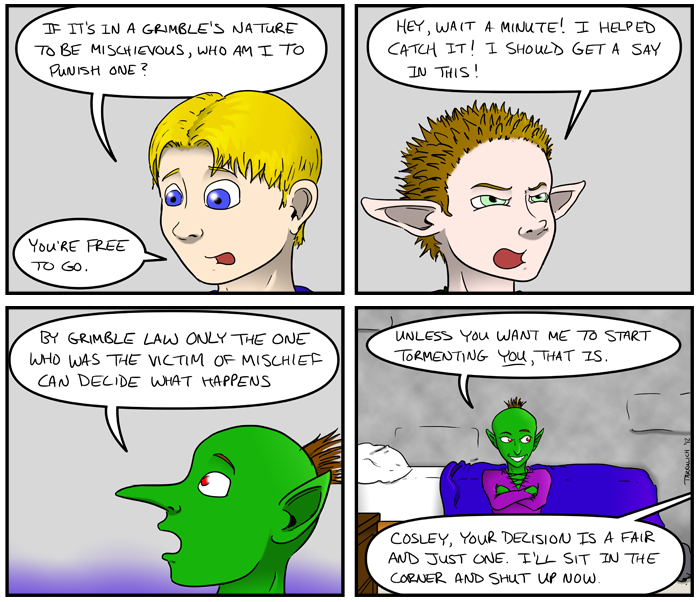 "An Offer He Can Refuse"
I ADORE the Grimble’s face in the last panel. I’m betting that s/he will come back for Danyel. A prank fight is too much for a racially inclined prankster to resist. Stormcloud, just so you know, it’s DanYEL. I can’t help but laugh at this one. Danyel versus Grimble on a prank-off? I could see it going into the DEFCON system in a matter of hours.